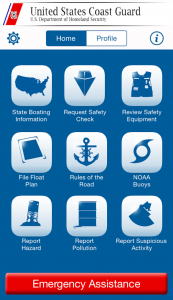 The Recreational Boating Safety (RBS) Federal financial assistance program was first established by the Federal Boat Safety Act (FBSA) of 1971 to "encourage greater State participation and uniformity in boating safety efforts, and particularly to permit the States to assume the greater share of boating safety education, assistance, and enforcement activities" (46 U.S.C. 13101). The Secretary of Transportation delegated administration of the program to the U.S. Coast Guard. Funding for the grants was provided from general revenue through the Coast Guard's Operating Expenses (OE) appropriations. Authorization for the RBS grant program expired in 1979, but was reestablished by the Recreational Boating Safety and Facilities Improvement Act of 1980 (the Biaggi Act). The Biaggi Act also provided that a portion of Federal excise tax receipts attributable to motorboat fuel use would be transferred from the Highway Trust Fund to a new Recreational Boating Safety fund to provide monies for the program. In utilizing the fuel taxes being paid by boaters, the Biaggi Act ensured that those receiving the benefits of the program would also pay the costs. The first appropriations under this new mechanism were approved in 1982. The Aquatic Resources (Wallop-Breaux) Trust Fund was established in the Deficit Reduction Act of 1984 to improve funding to the States for the RBS program administered by the Coast Guard and the Sport Fish Restoration program administered by the U.S. Fish and Wildlife Service. The legislation provided that the two separate funds for those programs would become individual accounts under the single umbrella of the new Wallop-Breaux fund. Trust fund receipts consist of Federal excise taxes attributable to motorboat and small-engine fuel use and on sport fishing equipment, along with import duties on fishing equipment, yachts and pleasure craft. The Boat Safety Account is funded solely from motorboat fuel taxes. The Sport Fish Restoration Account receives a portion of the motorboat fuel tax as well as all other trust fund receipts. The State grant programs funded through Wallop-Breaux are excellent examples of "user pays/user benefits" since all monies deposited into the trust fund are paid by boaters and fishermen. No general tax revenues are involved. The financial assistance provided to the States through Wallop-Breaux has contributed significantly to the States' ability to assume an increasingly larger share of responsibility for RBS program activities, as envisioned by FBSA of 1971, and is critical to the continued success of the State RBS programs. The Coast Guard/State cooperative effort in recreational boating safety is an outstanding example of the ability of government at all levels to work together for the benefit of the public and has directly resulted in safer boating for millions of Americans. This is evidenced by the fact that the number of reported recreational boating fatalities has been reduced from a high of 1,754 in 1973 to about 700 per year. During the same period, the number of boats owned by Americans more than doubled.